It sometimes can feel like the furnace goes out at the worst time — just before a snowstorm or before family comes to town. Whether it’s a simple repair, or it’s finally time for a new furnace to be installed, it’s hard to plan for these things. If you’re furnace isn’t functioning properly or isn’t working at all, contact the team at All Air Heating & Cooling for professional and honest HVAC technicians. We have been providing Fredericksburg with high-quality heating and air conditioning services for over two decades and we take pride in our work and customer service. Our technicians are all experienced, highly trained, and capable of working on and installing a variety of systems. When you need a new furnace installed, you can count on the team at All Air. Why Choose All Air Heating & Cooling Services? With the right maintenance, a furnace can last up to 20 years. If your system is reaching its limit and you’re having to spend more on repairs than the unit is worth, it may be time to consider a new one. As the furnace starts to go out, it will develop some tell-tale sounds, such as rattling, buzzing, or humming. These could be due to structural issues within the unit. If one room is frequently colder than another, it may be because the system can’t keep up with the amount of work it takes to evenly heat the house. 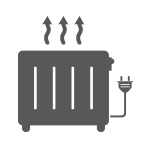 Choose a size furnace that will efficiently heat your own based on the number of rooms and the home’s insulation. Consider the type — gas is most common, but there are also boilers or heat pumps. Look at the efficiency rating — a rating between 60 and 80 is common, but they can go higher. When it’s time for a new furnace, call the team at All Air Heating & Cooling in Fredericksburg.